Frills and long, loose peplums on garments seem to be a style everywhere in fashion from t shirts to jackets. 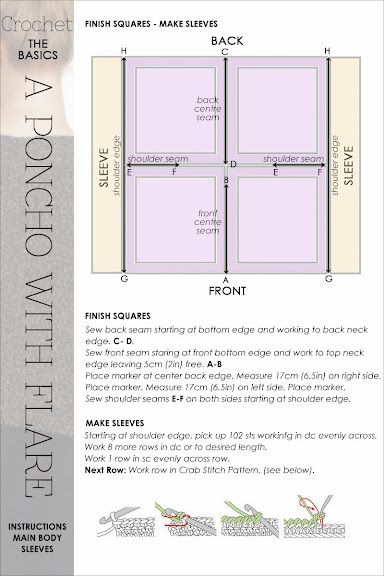 Looking at my previous posts, I decided to repost a pattern that has been a very popular, repinned image on Pinterest. 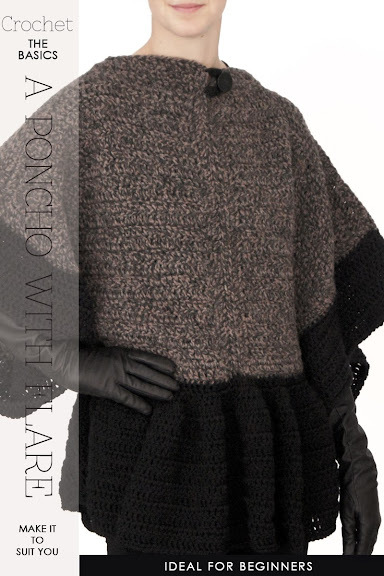 My idea of comfort is an oversize garment and a design that can be adapted for different seasons and types of yarns. Inspiration struck when looking at a blouse with a very loose flare or flounce and a loose body. 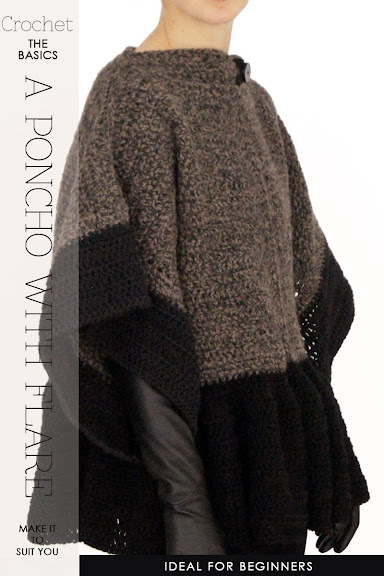 Since poncho styles seem to be popular, I decided to design a very easy garment with a flared band or skirting. As I looked around for yarn, I came across an unfinished project which consisted of a few crocheted squares, probably intended for a shrug. This was an excellent starting point where I didn't have to start from scratch. You may also want to think of this pattern for the spring or summer crocheted with a lovely soft cotton. This design is very easy to customize either in the squares and also in the skirting as this is your waist. 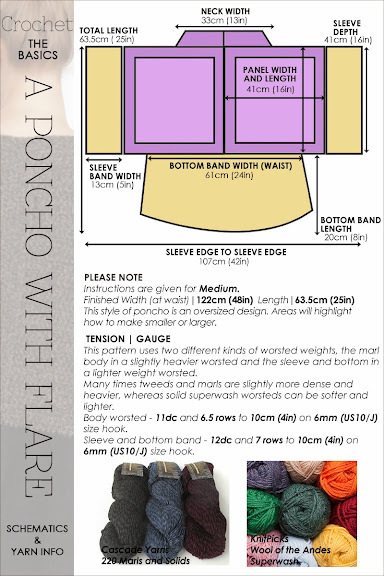 Read further for the pattern instructions, schematics and also a thank you to Erin, a colleague and a very patient model. 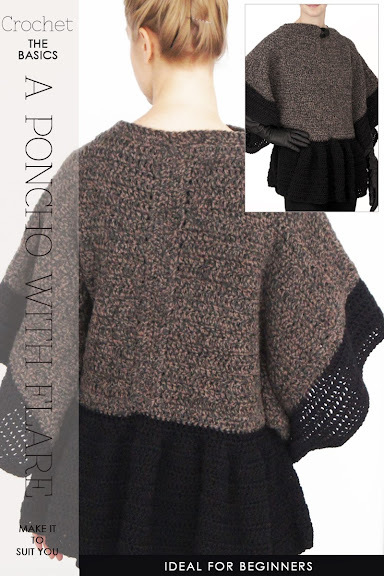 I'm usually drawn to knit patterns, but this crochet poncho is so stylish and cute I can't resist! 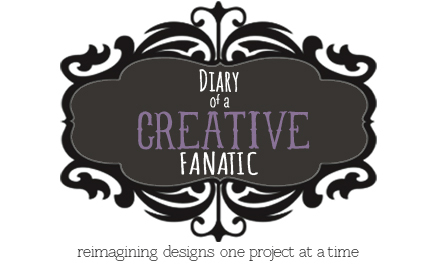 It will be my next project. 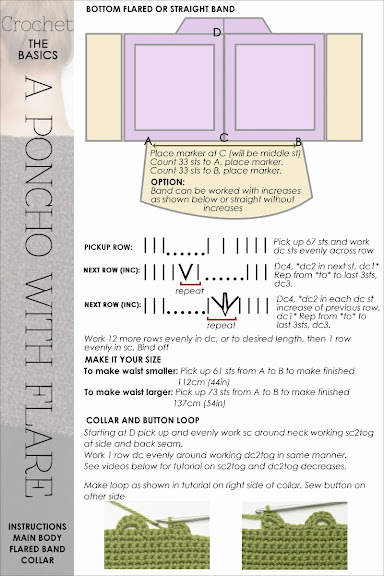 Thanks for posting the pattern and tutorial.